Despite some legislative progress, such as the historic victory of the European ban on the testing of cosmetics on animals – including a ban on the sale of animal-tested cosmetics – and the introduction of more similar legislation in India, animals continue to suffer and die in vivisection laboratories around the world in their millions. These cosmetics testing bans have been important moral victories pitching the rights of animals, legally, above vanity and profit. However testing of cosmetics on animals was only ever the tip of the iceberg and the impact these legislative measures have had on the actual numbers of animals used in experiments is negligible. Over 100 million animals are still subjected to suffering and death in animal testing laboratories around the world every year. Product testing still takes place for non-cosmetic substances such as household products, drugs, pesticides and fertilisers. Toxicity testing is often extremely invasive and painful e.g. forcing animal to inhale chemicals or having chemicals forced down their throats, or irritation testing whereby the substance is rubbed on the skin or put in their eyes. Animals used include dogs, rats, rabbits and mice. Animals are also used in the name of biomedical research and are bred, injected, infected, cut open and altered genetically to find out about human illnesses and potential cures. The principle of the 3Rs – reduce, refine, replace – was adopted in the 1950s and is meant to guide the use of animals in experimentation, however, the figures for animal use are going up not down. Recent regulation in Europe* has meant the re-testing of thousands of chemicals resulting in more toxicity tests on animals, rather than less. The use of non-human animals as models for both toxicity testing and human disease research however is being increasingly called into question. Differences between species means that the results delivered are often inaccurate and frequently dangerous. Nine out of every ten new drugs developed and passed as safe and effective in animals never lead to any human benefit due to ineffectiveness or unexpected toxicity when trialled in people. The use of non-human animals is actually delaying medical progress as well as posing a safety threat to those who volunteer for drugs trials. Positively, in recent years, there has been a shift in focus towards the replacement aspect of the 3Rs with calls from within the scientific community to accelerate the replacement of animals in research and testing with more human relevant alternatives on both scientific and ethical grounds. There is therefore a double impetus to replace the use of animals in research and testing: Protecting animals from this cruel and outdated practice, and safeguarding and advancement of human health. 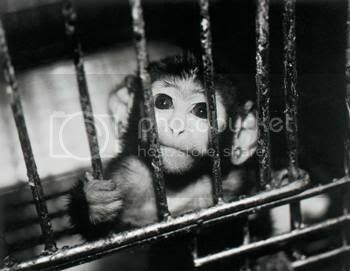 A combination of targeting and applying pressure on those institutions involved in these cruel practices, and making people aware of both the cruelty and unreliability of animal experiments, can only help speed up the abolition of animal experiments once and for all.